Here are ten of the reasons I play bowls as a sport and a pastime. 1. Enjoy the great outdoors without straining yourself. I spend most of my week cooped up in an office, and enjoy indoor activities on weekends too. I hate gardening and sport that requires blood, sweat and tears. Extended leisurely strolls in a park with occasional minor exertion I can manage. 2. Do less housework. My dad hived off to golf every Saturday afternoon without thinking twice about it after working all week, and The Bloke plays Saturday sport. I used to think I should clean the house every weekend, but hey, now I have to go to bowls. 3. Meet the locals. I didn’t know a soul in my neighbourhood until I started bowling at the local club. Now I have a dozen people I can call on at 3am if I’m locked out of my house. 4. Feel young. I enjoyed hanging around with older guys when I was young. 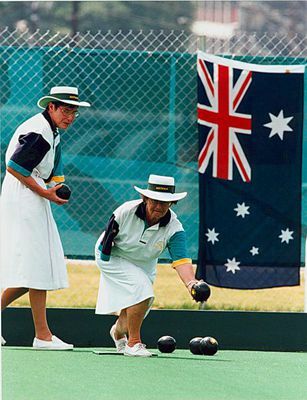 Now I hang around with older guys at the bowls club. You can be one of the youngest for a long time if you join early. 5. Feel better about growing older. I have got to know people in their seventies, eighties and nineties who I consider absolutely inspirational. I hope I can be the same when it’s my turn. 6. Anyone can play. I was completely hopeless when I began, but in a club short on players I got a game regularly. Even a rank beginner can put in a great bowl sometimes. Everyone can improve with a positive spirit and perseverance. I’ve played on equal terms with or against 14 year olds, 90 year olds, wheelchair players and deaf players. 7. It’s cheap. Pay your subs to join a club and you can bowl for free day in day out. It works out at $3 a week for me, plus the price of a glass of wine on pennant days. 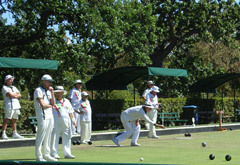 You can borrow club bowls to start, or pick up a cheap second hand set. 9. Increase your trophy collection. I’ve won more trophies in the last five years than in the rest of my life. Join a small club if you want to get in on the action. 10. Free entry wherever you go. As a bowls club member, you can bowl at pretty much any other bowls club for free, apart from competitions with an entry fee. 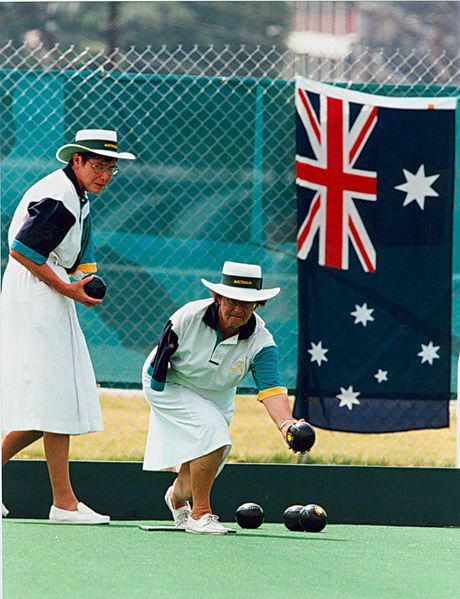 I’ve had memorable times at bowls clubs from King Island to the Eyre Peninsula just by rocking up. The Bloke’s done the same in the UK.